Discount BATA Automatic Ball Feeder - Free Shipping! 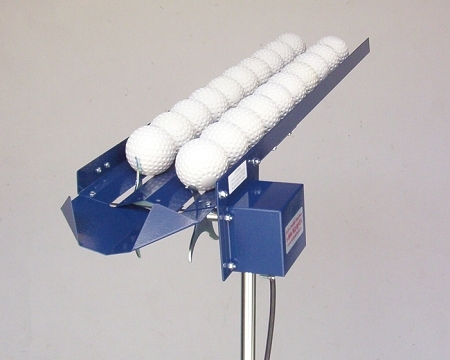 The BATA Auto Feeder works with any BATA pitching machine and holds 20 baseballs or 15 softballs, releasing a ball every six seconds. Featuring adjustable metal legs and a durable ABS housing, The BATA Auto Feeder plugs into any standard 110 volt outlet and comes with a two year limited manufacturer;s warranty. 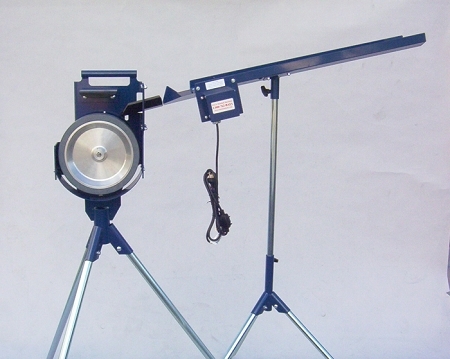 PLEASE NOTE: BATA Auto Feeder will work perfectly with BATA dimpled pitching machine balls but may have problems with regulation balls - especially softballs with raised seams. For ultra convenient batting practice, consider adding a BATA Cordless Remote! BATA Auto Feeders are not "free to try" and BATA WILL NOT accept returns of their products unless there is something wrong with them, regardless of the reason. In other words, there is no "satisfaction guarantee" on their products. Any unauthorized returns will be refused and may incur additional charges for return shipping back to you! Every BATA ball feeder is thoroughly inspected and tested before leaving the factory. It is warranted to be free of defects from workmanship and materials for the period of two years from the date of original purchase. Should any trouble develop during this two year period, the feeder or parts of it, may be returned to the factory, freight prepaid by customer, for inspection and repair or replacement. Alterations have been made to the feeder. The BATA Auto Feeder factory warranty is only transferable if the item is serviced/inspected by BATA at the time of the sale (30 days before or after). BATA products that are not labeled as "Commercial Grade" are not intended for commercial use. There is no warranty for non-commercial products used for commercial purposes. No matter where you order a BATA Auto Ball Feeder from, NOBODY actually stocks them; they all ship directly from the manufacturer's warehouse located in Carlsbad, California. Therefore, the shipping time frame is exactly the same no matter what website you order from (we hope that it is this one!). BATA Ball Feeders typically take 5-7 business days to ship from the time you place your order. They ship via United Parcel Service (UPS) and could take anywhere from a day or two to a week to get to you AFTER being shipped, depending on your proximity to their warehouse. We will notify you of your tracking number the moment we receive it from the manufacturer's warehouse. Click here to download an easy to read, printable PDF of the BATA Auto Feeder Manual.